The Seattle Clinic was born from a series of questions we asked ourselves over many years: What setting would evoke our best therapeutic presence and sustain our passion over the career-span? What combination of endeavors would constitute our ideal professional life? What work culture would be most conducive to our professional and personal growth and fulfillment? Dr. Fleming completed his doctoral study in Child Clinical Psychology at the University of Washington, his internship in Child & Adolescent Psychology at the UCLA Medical Center, and fellowship at the UW School of Medicine Department of Psychiatry & Behavioral Sciences. Dr. Fleming has developed and researched an adaptation of Dialectical Behavior Therapy (DBT) for young adults with ADHD, and collaborated on the largest multi-site clinical trial of DBT for suicidal teens. His current research focuses on improving interventions for teens and families affected by eating disorders, ADHD, autism spectrum disorders, and suicidal behavior. Dr. Fleming is a member of the Clinical Psychology Faculty at the University of Washington, where he provides individual and practicum training for advanced doctoral students. Dr. Fleming has worked closely with the developers of leading-edge evidence-based treatments for mood and anxiety disorders, eating disorders, disruptive behavior disorders, suicidal behavior, and autism spectrum disorders. He a certified PEERS® clinician and Functional Analytic Psychotherapy (FAP) trainer. In his private practice, Dr. Fleming provides comprehensive Dialectical Behavior Therapy (DBT), family-based treatment (FBT), and a range of evidence-based treatment for children, adolescents, adults, couples, and families. Click here for more information on Dr. Fleming's clinical practice. Dr. Julia Hitch received her doctorate in Child Clinical Psychology from the University of Washington and completed her pre-doctoral internship at UCLA Medical Center. Observing that patients often come to therapy with multiple concerns, Dr. Hitch has developed expertise in a wide variety of evidence-based therapies, including exposure and response prevention for OCD, prolonged exposure for PTSD, dialectical behavior therapy, behavioral parent training as well as cognitive behavioral therapy more generally. Additionally, underlying all therapies provided Dr. Hitch utilizes her expertise in functional analytic psychotherapy (FAP) to strengthen the power of the therapeutic relationship so that clients can deepen their interpersonal connections outside of therapy. Dr. Hitch enjoys working with patients across the lifespan, seeing patients as young as two, and empowering them to overcome their struggles with OCD, anxiety, mood, emotion regulation, parenting, and challenges in interpersonal relationships. She approaches each patient with enthusiasm, authenticity, and humor, and crafts individualized, evidence-based treatment plans for each person. She is on the Clinical Psychology Faculty at the University of Washington and is a certified OCD therapist through the International OCD Foundation. She regularly trains graduate students and psychologists in a variety of evidence-based therapies. Click here for more information on Dr. Hitch's clinical practice. Dr. Mary Loudon, co-founder of The Seattle Clinic, is an internationally recognized expert in Functional Analytic Psychotherapy (FAP), an interpersonal and emotionally-focused treatment approach that applies decades of basic behavioral science to the therapeutic encounter. Dr. Loudon earned her doctorate in clinical psychology at the University of Washington where she specialized in cognitive behavioral therapies including Functional Analytic Psychotherapy (FAP), Acceptance and Commitment Therapy (ACT), Dialectical Behavior Therapy (DBT), and Mindfulness-based therapies. She received advanced clinical training in FAP, co-instructed the UW FAP Training Practicum for 5 years, and completed her post-doctoral fellowship with Dr. Mavis Tsai, the creator of FAP. Mary is a certified FAP Trainer and workshop leader who has taught, supervised, and provided consultation for hundreds of FAP practitioners domestically and abroad. In 2009, Dr. Loudon became a member of the Clinical Psychology Faculty at the University of Washington and since this time she has provided clinical supervision to doctoral students in FAP, ACT, and EFT. In her private practice, she works with individual adults and couples across a wide span of concerns including anxiety, emotional disconnection from self or others, low mood, grief, trauma, and interpersonal connection and intimacy. She also provides therapy for therapists - an endeavor especially suited for professionals who want to improve their therapeutic skills while cultivating deeper courage, awareness, and love in their personal lives. Click here for more information on Dr. Loudon's clinical practice. Dr. Karen Barnes received her doctorate in child clinical psychology at the University of Washington with a focus on autism spectrum disorders (ASD). She completed her clinical internship and post-doctoral fellowship training at Seattle Children’s Hospital. Her expertise includes early assessment of ASD and social skills treatments for individuals with ASD. In addition to being a provider at The Seattle Clinic, Dr. Barnes is a clinical psychologist at Seattle Children’s Hospital Autism Center. Dr. Barnes specializes in the evaluation and treatment of children and adolescents with autism spectrum disorder (ASD), attention deficit hyperactivity disorder (ADHD), anxiety, depression, social deficits/differences, and disruptive behavior. She also provides assessments for entrance into highly capable programs or early entrance into kindergarten. Dr. Barnes conducts neuropsychological, cognitive, and learning evaluations with a focus on identifying both strengths and challenges. Her primary therapy theoretical orientation is cognitive-behavioral with a focus on treating anxiety symptoms. Dr. Barnes works with clients of all ages but specializes in the treatment of young children using empirically supported parent training models. Click here for more information on Dr. Barnes' practice. Dr. Dorian Hunter is a clinical psychologist and a member of The Seattle Clinic. She completed her doctoral training in clinical psychology at Rutgers University and post-doctoral training at the University of Washington Behavioral Research and Therapy Clinics and at the Evidence Based Treatment Centers of Seattle. Her clinical work and research has focused primarily on behavioral interventions for problems related to out of control behaviors (such as self-harm, addictive behaviors, binge eating) as well as the relationship of interpersonal factors to these behaviors. Click here for more information on Dr. Hunter's practice. Dr. Sarah Sullivan-Singh earned her doctoral degree in clinical psychology from UCLA with an emphasis in health psychology. She was delighted to return to her hometown for her pre-doctoral clinical internship at the University of Washington (UW). Following internship, she completed a two-year postdoctoral fellowship within the UW Rehabilitation Medicine Department before beginning her independent practice. Dr. Sullivan-Singh offers evidence-based treatment for anxiety, depression, and managing health-related issues, including coping with cancer and adjustment to chronic disease. Her aim is to support clients in discovering and clarifying their personal values and missions, enacting plans to inhabit those ways of being in the world, and cultivating rituals that foster emotional and physical health. Dedicated to providing care that is both grounded in scientific evidence and uniquely tailored to each individual client, Dr. Sullivan-Singh integrates therapeutic strategies from a variety of cognitive behavioral therapies (CBT), including Acceptance and Commitment Therapy (ACT) and Functional Analytic Psychotherapy (FAP). In addition to her work with clients at TSC, Dr. Sullivan-Singh provides integrated care one day each week at the Orion Sky Center for Integrative Medicine, an institution devoted to offering complementary medicine services to people whose lives have been touched by cancer. Finally, she is grateful for the opportunity to enliven and enrich her practice through training students. She is a Clinical Instructor within the UW Department of Psychology and regularly provides supervision to graduates students enrolled in the doctoral program in clinical psychology. Click here for more information on Dr. Sullivan-Singh's practice. 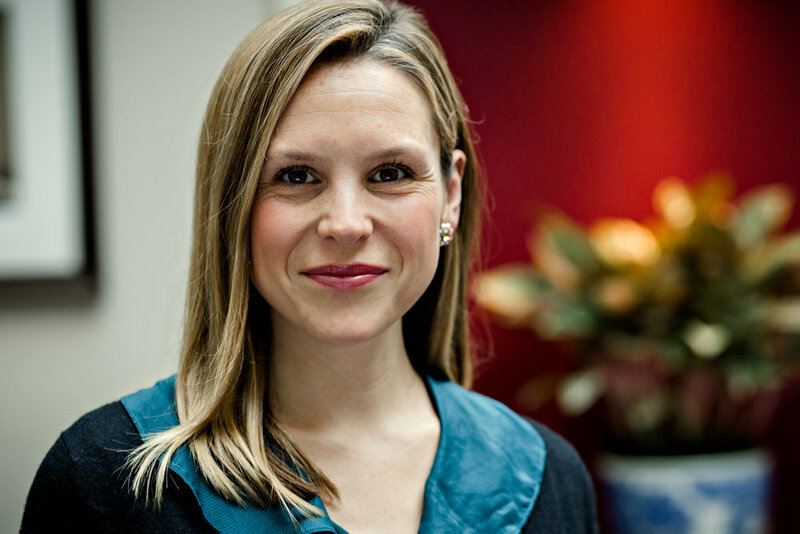 Dr. Erin Miga earned her doctorate in Clinical Psychology at University of Virginia, and completed her pre-doctoral clinical internship at Cambridge Health Alliance, Harvard Medical School. Her postdoctoral training was conducted under Dr. Marsha Linehan at the University of Washington, at the site of Dialectical Behavior Therapy (DBT) treatment development. She has expertise in treating adolescents and adults in a wide range of problem areas, including depression and anxiety, binge eating, PTSD, self harm, and navigating life transitions (personal and career moves, new baby). Erin also particularly enjoys blending her expertise in DBT and couples therapy by helping couples who are looking for new ways to cope with strong emotions and/or with the stress caused by a child’s dysregulation. Erin has expertise in Dialectical Behavior Therapy, Prolonged Exposure for PTSD and other exposure-based treatments, and Gottman-Method Couples Therapy. Erin is a Certified DBT Therapist through the DBT-Linehan Board of Certification, and actively volunteers for the organization. She has several book chapters that will soon be published on topics such as Cost-Effectiveness of DBT and a comprehensive review of DBT data to date. She supervises graduate students at the University of Washingon in DBT and couples therapy. Click here for more information on Dr. Miga's practice. Dr. LoTempio completed her doctoral studies in Clinical Psychology at the APA-accredited PGSP-Stanford Consortium. During this time, Dr. LoTempio was part of the Eating Disorders Research Program team at Stanford University School of Medicine Department of Psychiatry and Behavioral Sciences. She completed an APA-accredited predoctoral internship at Yale University School of Medicine, specializing in Dialectical Behavior Therapy (DBT). She then completed advanced training as a postdoctoral fellow at the DBT Center at the Evidence Based Treatment Centers of Seattle (EBTCS). After completing her postdoctoral fellowship, Dr. LoTempio accepted a staff position in the DBT Center and the Eating Disorders Center at EBTCS. Dr. LoTempio has presented at conferences and published on treatment for adolescents with eating disorders and adults participating in various dialectical behavior therapy programs. Dr. LoTempio is currently a member of the Clinical Faculty in the Department of Psychology at the University of Washington, and provides supervision to graduate students learning DBT in the Behavior Research and Therapy Clinics, Dr. Marsha Linehan’s DBT research and training clinic, as well as to psychiatry residents at the University of Washington Harborview Medical Center. Dr. LoTempio is a member of the Association for Behavioral and Cognitive Therapies (ABCT), Academy for Eating Disorders (AED), Psychologists for Social Responsibility (PSR), American Psychological Association (APA), Society of Clinical Psychology, and the Washington State Psychological Association (WSPA). Click here for more information on Dr. LoTempio's practice. Dr. Jared Michonski completed his doctoral studies in clinical psychology at the University of Houston. As a graduate student, his primary area of research was the emergence of personality disorders in children and adolescents. After completing his predoctoral internship at the University of Rochester Medical Center in Rochester, NY, he moved to Seattle to pursue specialized training in the leading treatment for borderline personality disorder—Dialectical Behavior Therapy (DBT). He completed his postdoctoral fellowship at the DBT Center at the Evidence Based Treatment Centers of Seattle (EBTCS), where, in addition to DBT, he received specialized training in behavioral parent training, with an emphasis upon addressing the challenges parents face when raising emotionally dysregulated. Furthermore, Dr. Michonski served as a therapist in a research trial at the University of Washington in a study that examined the effectiveness of DBT in treating suicidal and emotionally dysregulated teens, during which he trained with Dr. Marsha Linehan, the developer of DBT. Following his postdoctoral training, Dr. Michonski remained at EBTCS for another four years as a staff psychologist, before opening his own private practice. Dr. Michonski has been a member of The Seattle Clinic community since the fall of 2018. In addition to providing psychotherapy, Dr. Michonski is a member of the Clinical Faculty in the Department of Psychology at the University of Washington, where he provides supervision in DBT to doctoral students. Dr. Michonski is a member of the American Psychological Association. Furthermore, he continues to be involved in research and writing, primarily in the areas of borderline personality disorder and DBT. Dr. Iverson completed her undergraduate studies at the University of Washington, her doctoral study in Clinical Psychology at Washington State University, and her pre-doctoral internship in Child and Adolescent Psychology at the University of Arizona. Dr. Iverson has developed expertise in a range of evidence-based treatments, including cognitive behavioral therapy, exposure-based therapies, and behavioral parent management. She enjoys working with children, adolescents, and families to empower them with confidence and skills to overcome struggles with anxiety, mood, OCD, trauma, parenting, and relational challenges. She tailors evidence-based treatments to the individual needs of each person in therapy, as every person brings unique experiences and challenges. Click here for more information on Dr. Iverson's practice. Natalie Hopkins earned her Master’s in Social Work for the University of Washington, with an emphasis on direct practice with children, youth and families. She completed her first-year practicum as a school counselor at South Shore K-8 School in South Seattle. Her advanced year-long practicum was with the Adolescent Medicine Clinic at Seattle Children’s Hospital. While at Seattle Children’s, she also completed a fellowship in Leadership Education in Adolescent Health (LEAH). Natalie has received formal training in a range of evidence-based treatments, including Cognitive Behavioral Therapy (CBT), mindfulness-informed approaches, and Dialectical Behavior Therapy (DBT). Natalie is passionate about working collaboratively with adolescents, young adults, and families to develop individualized interventions to overcome anxiety, depression, suicidal behavior, and behaviors related to emotion dysregulation. In addition to her work with clients at The Seattle Clinic, Natalie leads support groups through the Center for Chronic Illness, a nonprofit devoted to offering complementary services and education programs for those living with ongoing health challenges. Natalie is a member of the Washington State Society for Clinical Social Work (WSSCSW), and the National Association of Social Workers (NASW). Click here for more information on Natalie’s practice. Amanda received her Master’s in Public Health from the University of Washington with an emphasis in Nutritional Sciences. She completed her clinical training in the greater Seattle area with a focus on the prevention and treatment of eating disorders. She has worked at multiple eating disorder treatment facilities helping adolescents and adults with various eating disorder and mood and anxiety disorder diagnoses. She was the Lead Dietitian for an eating disorder Partial Hospitalization Program (PHP) and helped launch a new treatment facility in downtown Seattle where she was the nutrition department lead. Amanda specializes in working with individuals with eating disorders, disordered eating, chronic dieting, intuitive eating, mindful eating, female athlete triad, and mood and anxiety disorders. She enjoys working with adults, adolescents, and families to support their specific nutrition needs. She uses a non-diet, trauma-informed, Health at Every Size® based nutrition approach. She combines evidence-based research, empathy, and experience to best serve her clients. Amanda is a member of the International Association of Eating Disorder Professionals (IAEDP), Academy of Nutrition and Dietetics (ACEND), and Eating Disorder Registered Dietitians & Professionals (EDRDPRO). Click here for more information on Amanda’s practice. Click here for more information on Dr. Alvarez’s practice. Providers at The Seattle Clinic are independent practitioners solely responsible for the care of their clients. Our dream builds from here. As our community grows, we welcome inquiries from clinicians, students, prospective post-docs, and professional organizations who see opportunities for collaboration, are interested in receiving training, or are curious about joining our community. Thank you for your interest in The Seattle Clinic. We will respond to your message in the next week.